RRB has postponed the ALP and Technician exam scheduled for today in Kerala. All educational institutes in the state will also remain closed till August 29. 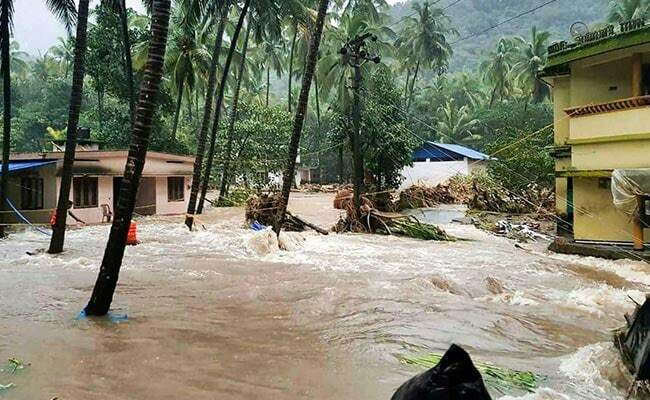 Keeping in view the dire flood situation in Kerala, Railway Recruitment Board has postponed the Computer-based Test for ALP and Technician recruitment which was scheduled for today. The examination will be held as per schedule in all other states. RRB published a notice on all its regional websites informing candidates that the exam will be held as per the previous schedule. Candidates have been informed individually too through SMS and email. Several states have declared half-day holiday after former PM Atal Bihari Vajpayee's death yesterday which is why RRB issued the clarification that exams would be held as per the schedule. The exams have been postponed for candidates whose exam centres were in Kerala. Meanwhile, the Kerala Public Service Commission (KPSC) has decided to postpone the recruitment processes scheduled for 17-18 August 2018. Written exams, departmental exams, interview, service verification, certificate verification scheduled on those dates have been cancelled. On the other hand, RBI was under criticism for holding the phase I exam of Grade B officers. As per the schedule on the official website of RBI, the phase I exam commenced on August 16. In another news, in a press conference held by Kerala Chief Minister Pinarayi Vijayan, the Chief Minister said that all educational institutes in the state are to be closed till August 29, 2018.